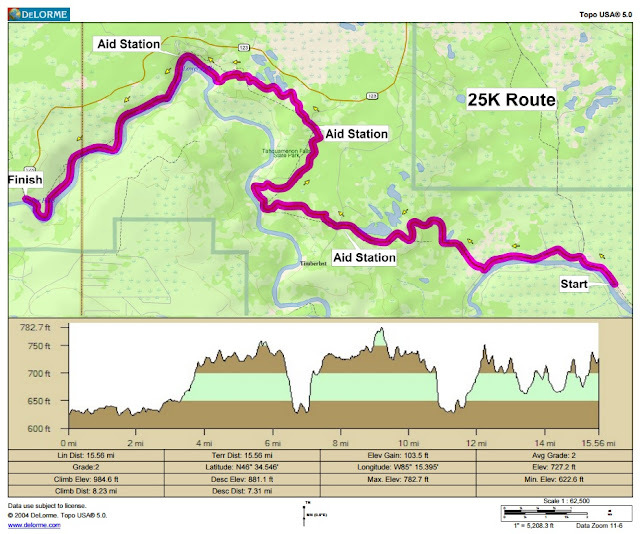 On Grand Island marathon eve, I forgot to remind you guys about the upcoming Tahqua 25k on August 8th. This is another race in the series of trail races put on by Great Lakes Endurance. I'm really looking forward to this race as it's one that I've wanted to run for several years now but the timing never aligned up for me. 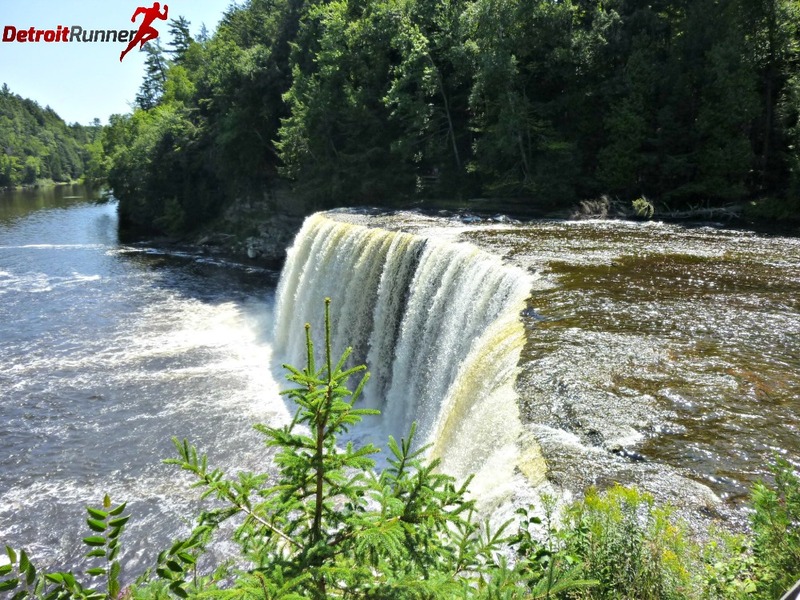 The race is located at the Tahquamenon Falls area in the Upper Peninsula in Michigan. As you know, I've been to the area when I ran the Two-Hearted half marathon and I cannot recommend the area high enough for a great weekend or week away. I'll once again be staying at the Lower Falls Portage campground right next to the lower falls. Look at those hills! 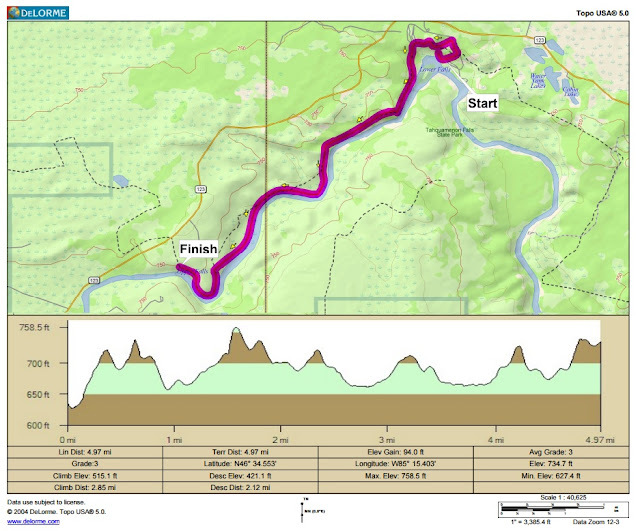 Okay now not only is this almost 1,000 feet of elevation gain, this is also a very technical course. I talked to a couple guys when running Two-hearted and they even compared the difficulty of this 25k to a full marathon. As you can see, it's a point to point race. Included in the race is bus transportation to the starting point and also a tech shirt. No race medal for this race but, believe me, I'll be very proud to wear the tech shirt in training once I complete this race given the tough course. I hiked the last part of the race before so I know what runners are expected to run the last 4 miles. 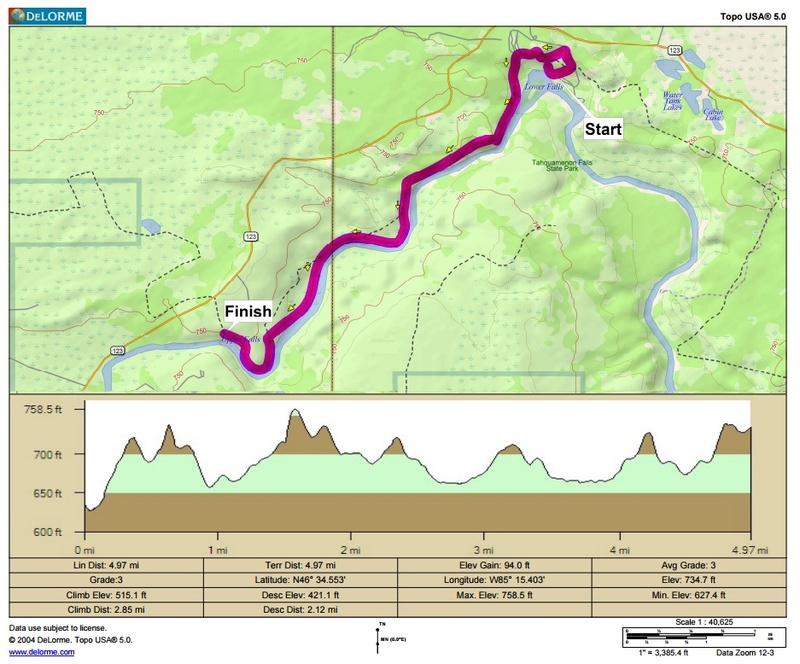 It's an extremely hilly and technical portion of the race. I can't wait for this awesome challenge! 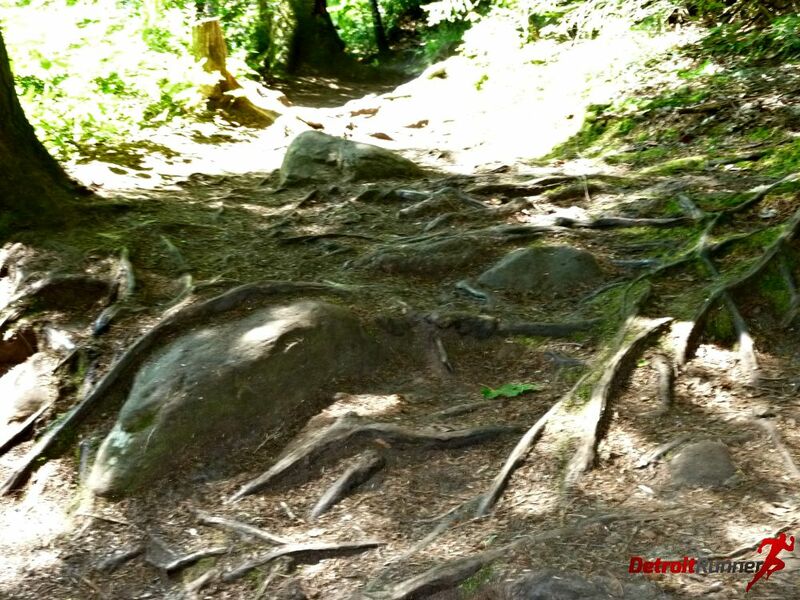 The last part is run between the lower and upper falls and it's one of the best trails I've ever been on in Michigan. In 2011 on the trail when I just hiked it. It's on the river! On the course near the end - yes, it's technical! 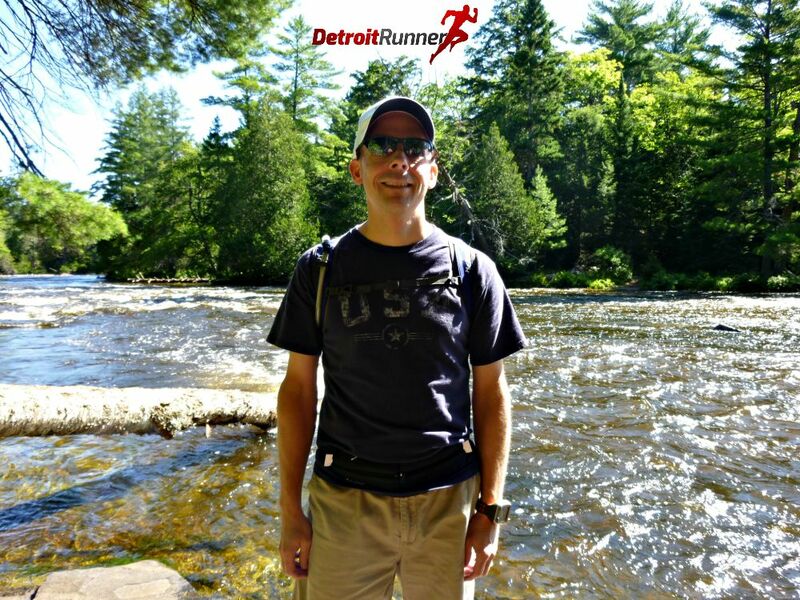 It's also going to be really fun because I know a bunch of people from my running group, Michigan Running Club, will be coming to the event. We plan to meet at the Tahquamenon Falls Brewery at the upper falls for dinner (if you are interested in joining us, email me) and hopefully get a nice group picture the night before. It makes the race so much more fun when you know others running it and I've really tried to push people to run this one this year with me. Also for those not looking to run as long, they also have a 10k option and, believe me, this is no sissy option either. This one will be one of your more challenging 10k's and the scenery will take your breath away. It also runs between the lower and upper falls. My jaw dropped the first time I saw this trail and yours will too. Still over 500 ft of gain for a 10k! Interested in running it with me? 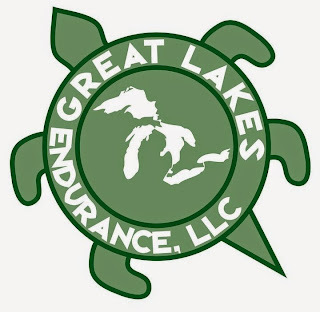 Check out Great Lakes Endurance website and sign up. I guarantee you will have an awesome time up at Michigan UP.